4:45 p.m. to 8 p.m. 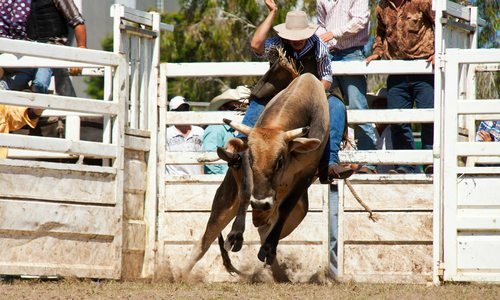 Put on your cowboy boots and grab a front-row seat for a nail-biting competition for the pinnacle of professional bullriding (PBR). For the 10th consecutive year, Springfield hosts the PBR 25th: Unleash the Beast PFIWestern.com Invitational presented by Bass Pro Shops. The event welcomes young guns and seasoned, veteran riders, all vying to hang on as their 2,000-pound opponents try to shake them loose. $15–110; Friday 7:45 p.m., Saturday 6:45 p.m., Sunday 4:45 p.m.; JQH Arena, 685 S. John Q. Hammons Parkway, Springfield. Tickets are available at PFI Western Store, 2816 S. Ingram Mill Road, Springfield, or online at missouristatetix.com. For more information, call 417-889-2668.